Home » Teaching » Sixty-Four Year Commitment: Congratulations to my parents on their anniversary. 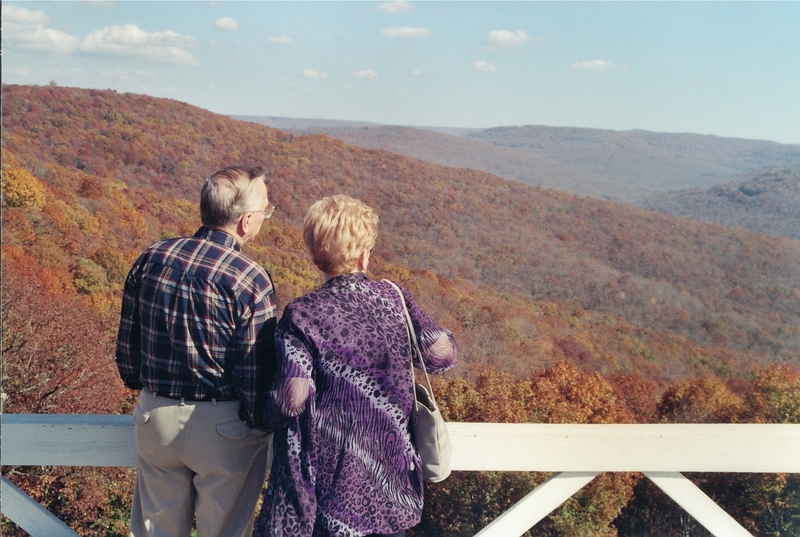 Sixty-Four Year Commitment: Congratulations to my parents on their anniversary. 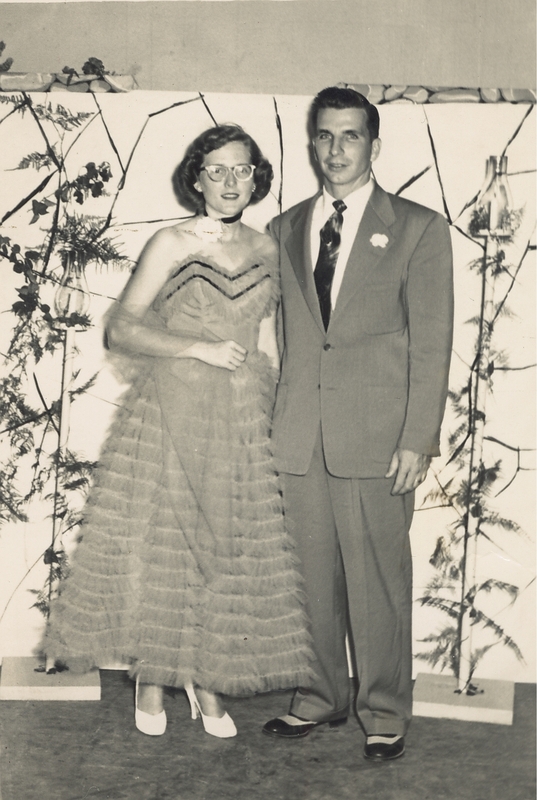 My parents will have been married sixty-four years on March 10th. 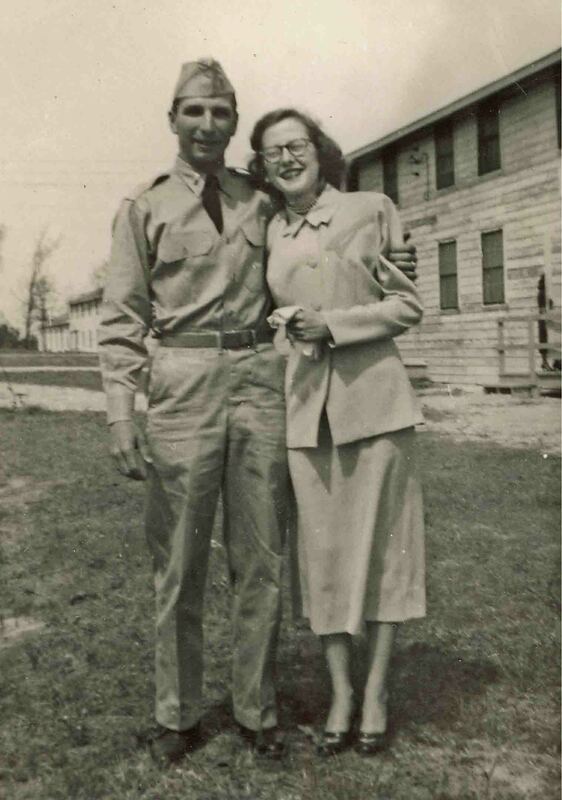 After they married, my father went to the Korean War while my mother continued in school. When he returned, they built a life based on commitment and unconditional love. They went through hard times and good times. There would be childhood illnesses and challenging behavior to deal with from their teenage son, but they handled it all masterfully. I’m sure they haven’t always been completely happy with each other and know for a fact that they can occasionally disagree. But, they’ve never considered abandoning their commitment to each other and their vows of marriage. 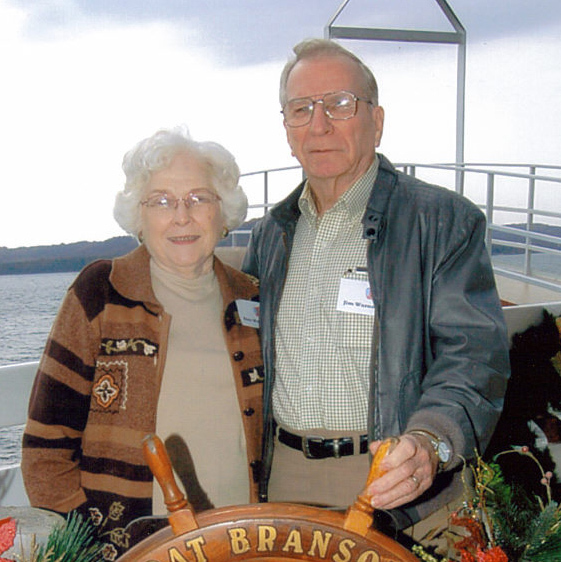 Congratulations to my mother and daddy on their sixty-fourth anniversary! Thank you for making sacrifices to provide for sister Martha and me and our families. We love you. What follows are pictures that represent a few stages of my parents’ lives. 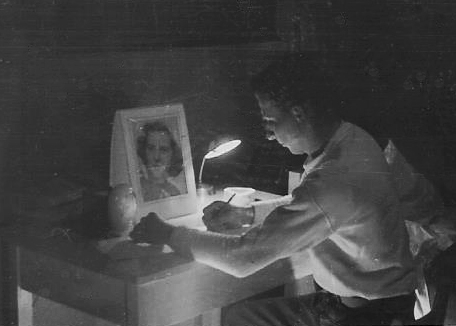 Writing letters to Elsie from Korea. College days at Ouachita in Arkadelphia. This is me trying to help my dad. 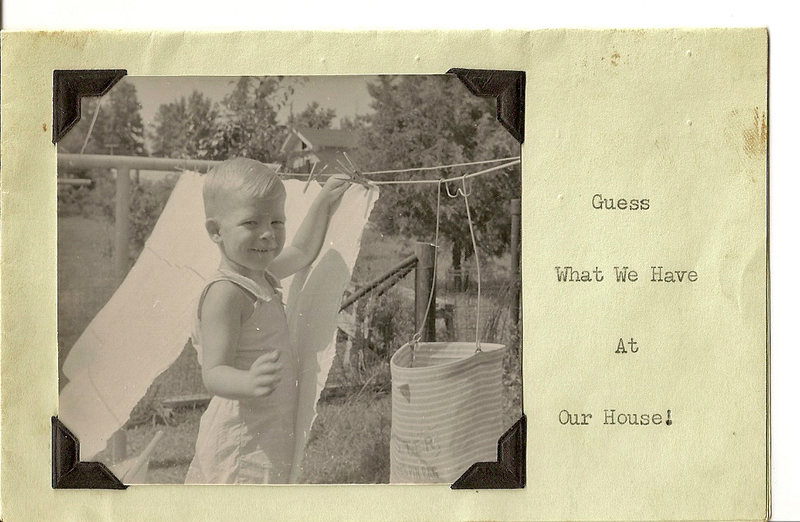 The front of Martha’s birth announcement. 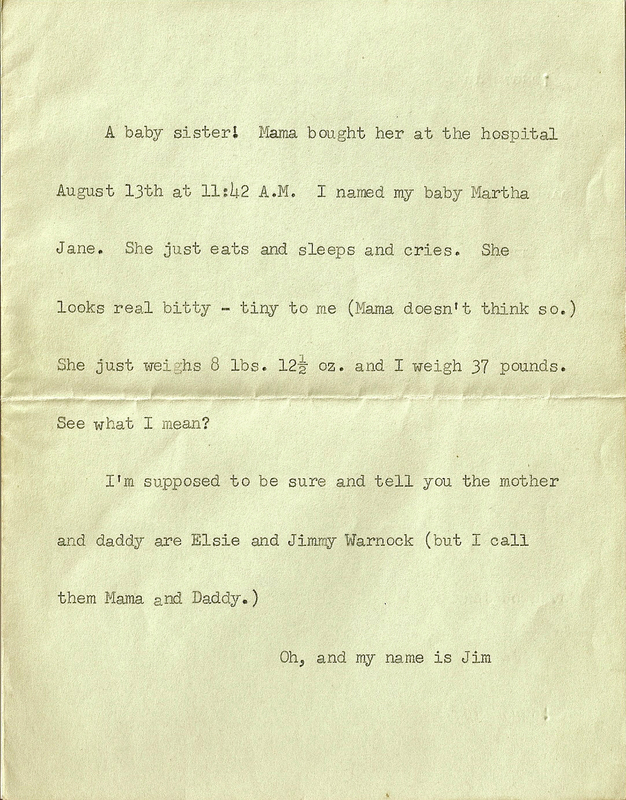 Baby announcement that mother wrote for Martha. I appreciated her including me, but she probably should have added a statement of the kindness I would show to my new baby sister. 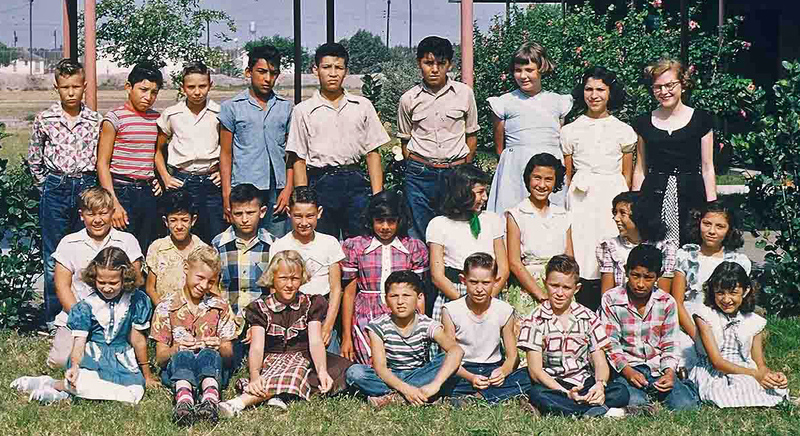 Elsie’s first year of teaching in South Texas. 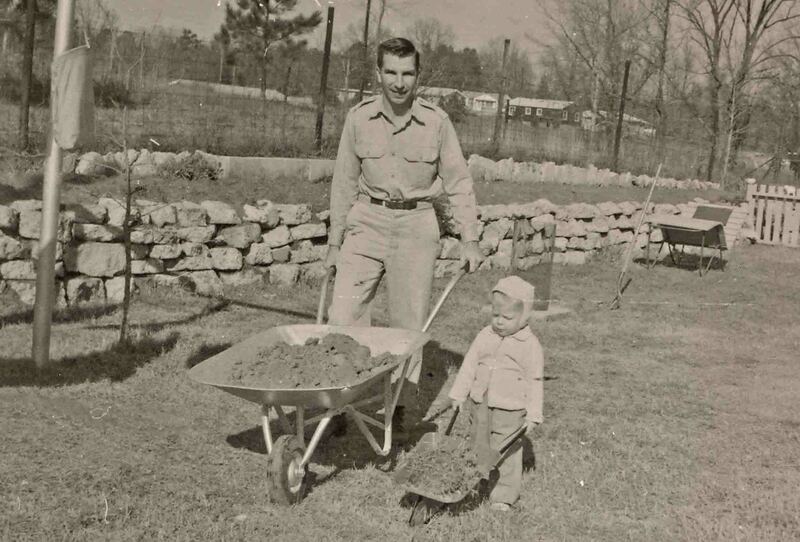 My parents set the example of working hard at their jobs. They didn’t miss work, and they were respected for their quality of work. Mother worked as a teacher for elementary, junior high and high school levels. She even worked in an early childhood program for special needs. Daddy taught a couple of years, but most of his work was as a chemist in oil refineries and later in pollution control. He was very interested in protecting the water table of the area. Beyond their jobs, they managed to find time to be involved in church and volunteer for community organizations. Daddy’s work to protect water supplies in oil country. 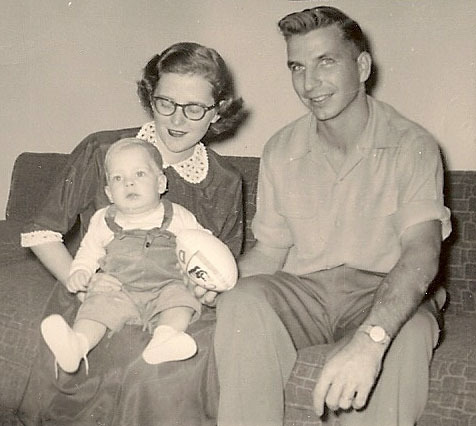 My parents flanked by my sister, Martha, and me. 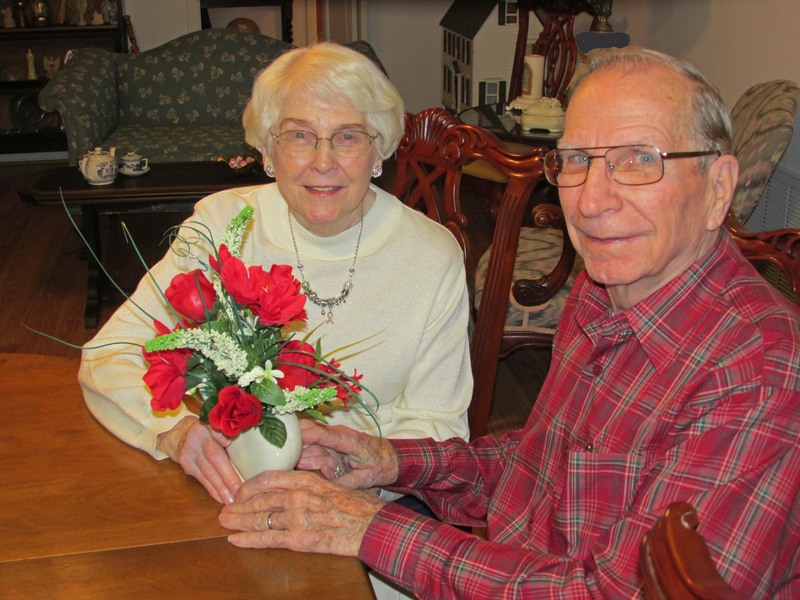 Jimmy & Elsie Warnock celebrate 64 years of marriage on March 10th. 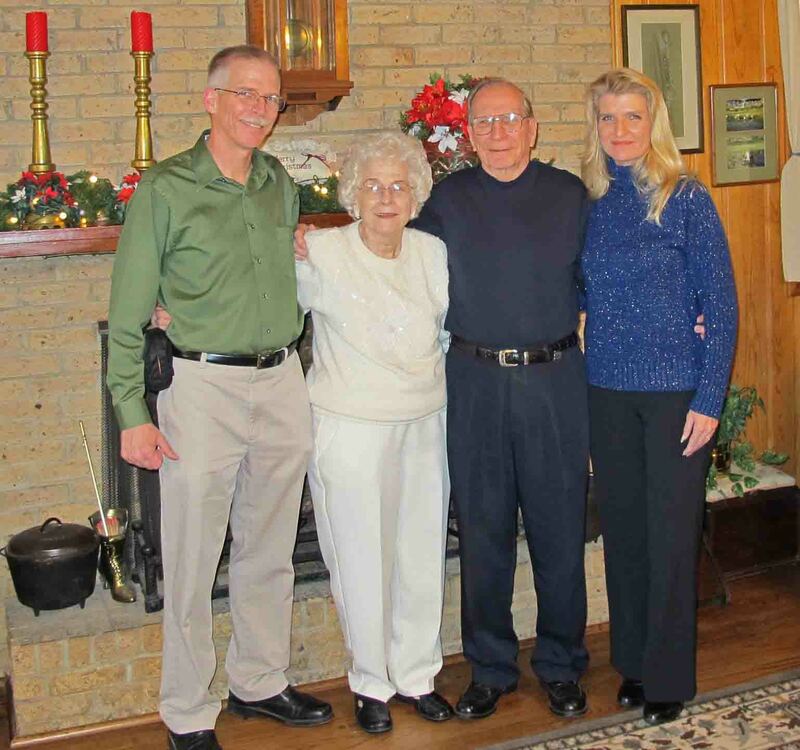 The El Dorado News Times did a nice story about daddy’s early Valentine gift to mother and their lives together. They still pull this vase out and display it on special occasions. By ozarkmountainhiker in Teaching, TOSCO on March 9, 2015 .